Democratic Rep. Maxine Waters has chosen to face a House ethics trial rather than accept a finding of wrongdoing by the House ethics committee. Washington (CNN) - Democratic Rep. Maxine Waters of California has chosen to face a House ethics trial rather than accept a finding of wrongdoing by the House ethics committee, according to a source familiar with the process. The ethics committee has been looking into whether Waters violated any House rules when she helped arrange a meeting in September 2008 between a bank she and her husband had ties to financially and Treasury Department officials. The bank was seeking federal assistance. 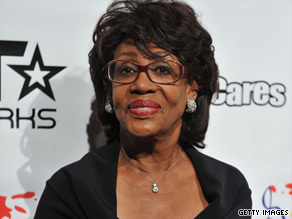 Waters is a senior member of the House Financial Services committee. Waters met with the House ethics committee Wednesday evening, but she declined to comment to CNN when she left the meeting. If Waters' trial goes forward, she would be undergoing the same sort of procedure begun just this week for another prominent House Democrat, Rep. Charles Rangel of New York. Washington (CNN) - The House of Representatives passed legislation Friday which would lift the current $75 million liability cap for oil spills while imposing new safety standards for offshore drilling. The Senate has yet to act, however, so the prospects for final oil spill and energy legislation are unclear. The House measure passed by a vote of 209 to 193. (CNN) - The worst-kept secret in the political world is expected to culminate Saturday as Chelsea Clinton marries Marc Mezvinsky at a posh venue in Rhinebeck, New York. The entire town has been sworn to secrecy, but many storefront windows bear signs saying "Congratulations Marc & Chelsea" and similar messages. "You could make a case that this is the most significant thing to happen in Rhinebeck since Washington's army drove the British out of Rhinebeck back in the 1700s," said Jim Langon, editor of the Hudson Valley News newspaper, who was the first to report that the wedding would take place there. The parents of the bride, Secretary of State Hillary Clinton and President Clinton, were seen arriving at a formal dinner at the Beekman Arms Inn in Rhinebeck on Friday night. Also attending were former Secretary of State Madeleine Albright, presidential adviser Vernon Jordan and numerous young couples presumed to be friends of the bride and groom. "This is the wedding of the century," wedding planner Tatiana Byron said. Washington (CNN) - A popular target of Republicans looking to pick off a seat in the Midwest is Rep. Leonard Boswell, a seven-term Democrat who has had some close calls in recent election cycles. In 2008, he won re-election with 56 percent of the vote after outspending his opponent by almost 10 to 1. In 2006, when Democrats picked up 30 House seats and every House Democrat won re-election, Boswell eked out 52 percent of the vote against a state senator who nearly outspent him. Washington (CNN) – Well, it seems that sometimes even the first family wants to take in Washington’s tourist attractions. 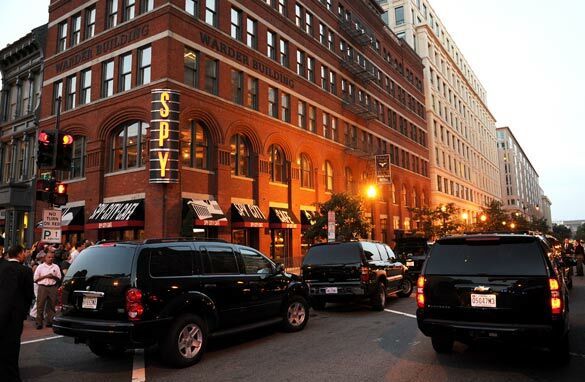 President Obama, the first lady, daughter Sasha, and an unidentified friend of Sasha’s made an impromptu visit Friday night to Washington’s International Spy Museum. Washington (CNN) - Delivering this week's Republican internet and radio address, Sen. Mike Johanns, R-Nebraska, discusses a number of new policies and laws which the GOP says hurt - rather than help - small businesses. "Isn’t it time, Mr. President, to tone down the rhetoric and to govern?," Johanns says in the weekly GOP address. Johanns adds, "You talk about creating jobs and that sounds good, but your policies just do the opposite – with a fiercely anti-business tone." Washington (CNN) - President Obama used his weekly internet and radio address to discuss the auto industry's future and to press for passage of the Small Business Jobs Act, a measure which Obama says Senate Republicans are blocking. These allegations are very troubling,' President Obama said of Congressman Charles Rangel, in an interview with CBS. Washington (CNN) - President Obama gave his thoughts on Friday regarding the ethics investigation into New York Rep. Charlie Rangel. "I think Charlie Rangel served a very long time and served– his constituents very well. 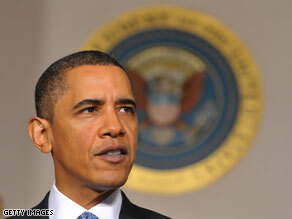 But these allegations are very troubling," Obama said in an interview with CBS News' Harry Smith. "He's somebody who's at the end of his career. Eighty years old. I'm sure that what he wants is to be able to end his career with dignity. And my hope is that it happens." Obama added. Obama's comments come just hours after the House ethics subcommittee recommended that Rangel be reprimanded.